Bob Turner was born on April 12, 1932, in Fort Madison, Iowa. He enlisted in the U.S. Air Force on February 9, 1951, and entered the Aviation Cadet Program on May 29, 1952, receiving his commission as a 2d Lt in the Air Force and his pilot wings at Webb AFB, Texas, on June 16, 1953. After completing advanced fighter training and Pilot Instructor training, Lt Turner served as an Instructor Pilot with the 3552nd Flying Training Squadron at Moody AFB, Georgia, from November 1953 to June 1954. His next assignment was as an F-89 Scorpion pilot with the 57th, 318th, and then the 75th Fighter-Interceptor Squadron at Presque Isle AFB, Maine, from June 1954 to April 1956, followed by service as an F-89 pilot with the 59th Fighter-Interceptor Squadron at Goose Bay, Labrador, Canada, from April 1956 to May 1957. Lt Turner served as an F-86 Sabre pilot with the 354th Fighter-Interceptor Squadron at McGhee Tyson Airport, Tennessee, from June to October 1957, and then as an F-89 and then F-106 Delta Dart pilot with the 319th Fighter-Interceptor Squadron at Bunker Hill AFB, Indiana, from November 1957 to March 1963. Capt Turner next served as an F-106 pilot with the 318th Fighter-Interceptor Squadron at McChord AFB, Washington, from March 1963 to December 1965, followed by A-1E Skyraider training before serving with the 602nd Fighter Squadron at Nha Trang AB, South Vietnam, from June 1966 to February 1967. Maj Turner served as an Operations Staff Officer with Headquarters Air Defense Command at Ent AFB, Colorado, from March 1967 to September 1969, and then as an F-106 pilot and Operations Officer with the 460th Fighter-Interceptor Squadron at Oxnard AFB, California, and later at Kingsley Field, Oregon, from September 1969 to June 1971. His next assignment was as Commander of the 84th Fighter-Interceptor Squadron at Hamilton AFB, California, from June 1971 to January 1972, followed by service on the staff of the 36th Tactical Fighter Wing at Bitburg AB, West Germany, from January to July 1972. Col Turner served as Commander of the 36th Organizational Maintenance Squadron at Bitburg AB from July 1972 to January 1974, and then as Chief of Maintenance and Deputy Commander for Maintenance with the 52nd Tactical Fighter Wing at Spangdahlem AB, West Germany, from January 1974 to July 1975. His final assignment was at Grissom AFB, Indiana, where he retired from the Air Force on September 1, 1978. 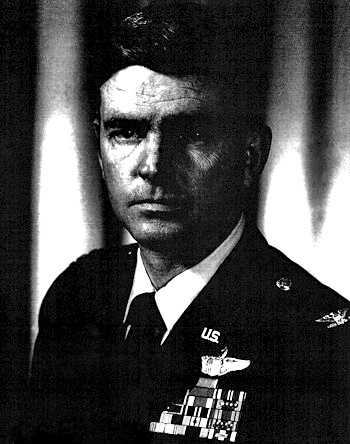 Major Robert E. Turner distinguished himself by extraordinary heroism in connection with military operations against an opposing armed force as an A-1E pilot in Southeast Asia on 6 January 1967. On that date, Major Turner diverted his flight to the immediate support of a remote but vital outpost being overrun by hostile ground forces. He descended through 2,500 feet of solid clouds in poorly mapped mountainous terrain and made repeated attacks against entrenched hostile forces. In spite of intense and accurate automatic weapons fire and repeated hits upon his aircraft, Major Turner continued his attacks until his ordnance was exhausted and fuel was critically low. His actions forced the hostile forces to break off their assault and saved the friendly forces from certain defeat. 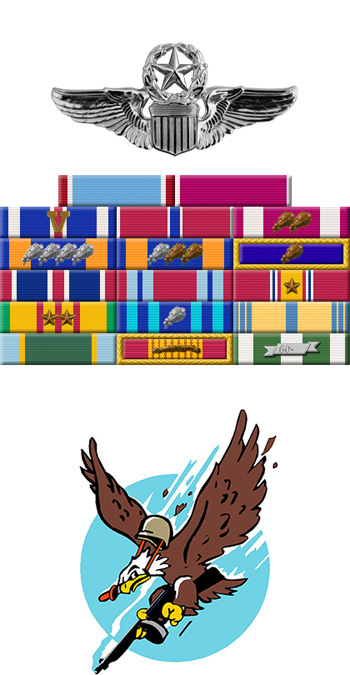 Through his extraordinary heroism, superb airmanship, and aggressiveness, Major Turner reflected the highest credit upon himself and the United States Air Force.